** CLEAN AUTO CHECK ** Features: NAVIGATION, BACK UP CAMERA, SATELLITE, LEATHER SEATS, HEATED SEATS, COOLED SEATS, SUNROOF, REAR SUNSHADE, PUSH TO START BUTTON, BLUETOOTH, DUAL POWER SEATS, PARKING AID CENSORS, ADJUSTABLE STEERING WHEEL COLUMN, HOMELINK SYSTEM. 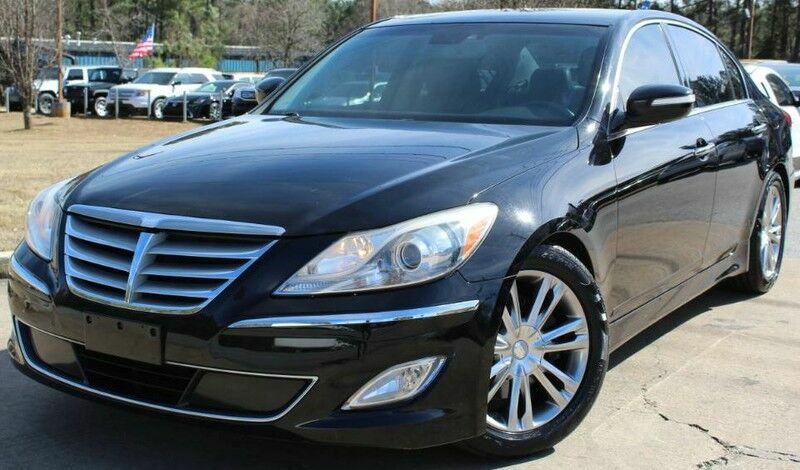 COME TAKE A LOOK AT THIS 2012 HYUNDAI GENESIS WITH NAVIGATION, BACK UP CAMERA, SATELLITE, LEATHER SEATS, AND SUNROOF! EXCELLENT CONDITION, STRONG ENGINE/TRANSMISSION, VERY DEPENDABLE RIDE WILL TAKE YOU ANYWHERE YOU WANT. IT RUNS GREAT, ALL SERVICE UP TO DATE , ALL FLUIDS CHECKED. WE PROVIDE EXCELLENT FINANCING OPTIONS AND ALL OUR VEHICLES COME WITH A 2 YEAR MAINTENANCE PLAN!!!. AT ATLANTA USED CAR CARS WE THRIVE TO FIND QUALITY VEHICLES TO FIT YOUR NEEDS AND DESIRES. FOR MORE INFO PLEASE GIVE US A CALL AT 678.924.0011 At ATLANTA USED CARS LILBURN, we pride ourselves in our value pricing on quality vehicles. In addition to our great deals, we are proud to offer excellent financing choices thanks to our strong relationships with reputable lenders and financial institutions as well as comprehensive warranty options through the no - hassle, respected companies we deal with. OPEN 7 DAYS A WEEK! Please Call 678-924-0011 or visit WWW.ATLUC.COM for more information and to see why there is no reason to shop anywhere else.